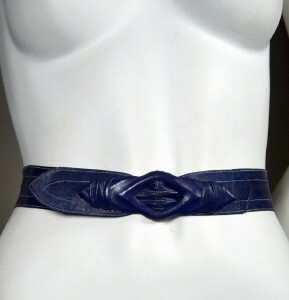 1930's vintage leather belt. Navy blue leather. Navy leather with double white top stitched edges. Applied pointed tabs on either end. Self covered pull thru buckle with shirred ends. Under buckle hook closure. 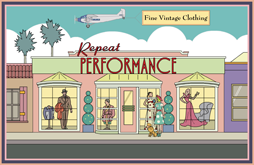 All original 1930's vintage. An original 30's belt is a rare find indeed. EXCELLENT! Leather is supple and strong and totally wearable.